Visit our INFINITI service center near West Hartford, CT, when your vehicle is in need of some TLC. Here, our factory-trained INFINITI service technicians can inspect your vehicle and make any necessary repairs. We can handle oil changes, transmission repairs, engine service and other types of maintenance. 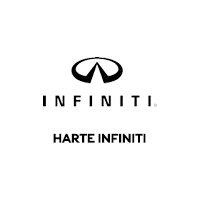 Keep your luxury INFINITI SUV or car running in top shape with routine maintenance at the Harte INFINITI service center. Our Connecticut INFINITI service center offers convenient hours, so you can easily fit in repairs around your schedule. Our technicians use genuine INFINITI parts whenever possible and our staff is very communicative, so you always know the status of your vehicle while it’s in our care. Whether you’ve been hearing a strange noise when you brake or want to swap out components with genuine parts, you’ll find the help you deserve at our Hartford INFINITI service center. Schedule INFINITI service or drop by our dealer for repairs and maintenance!